Turnbull and his government have given big business too much power. Increasing workloads and wage theft is rampant. Work is less secure than ever and they’re making it harder for us to keep each other safe at work. While insecure work continues to rise with record low wages and conditions, a third of big businesses don’t even pay tax. And Turnbull wants to give big businesses even more tax cuts. It’s clear the rules are broken and that’s why we’re Changing the Rules. 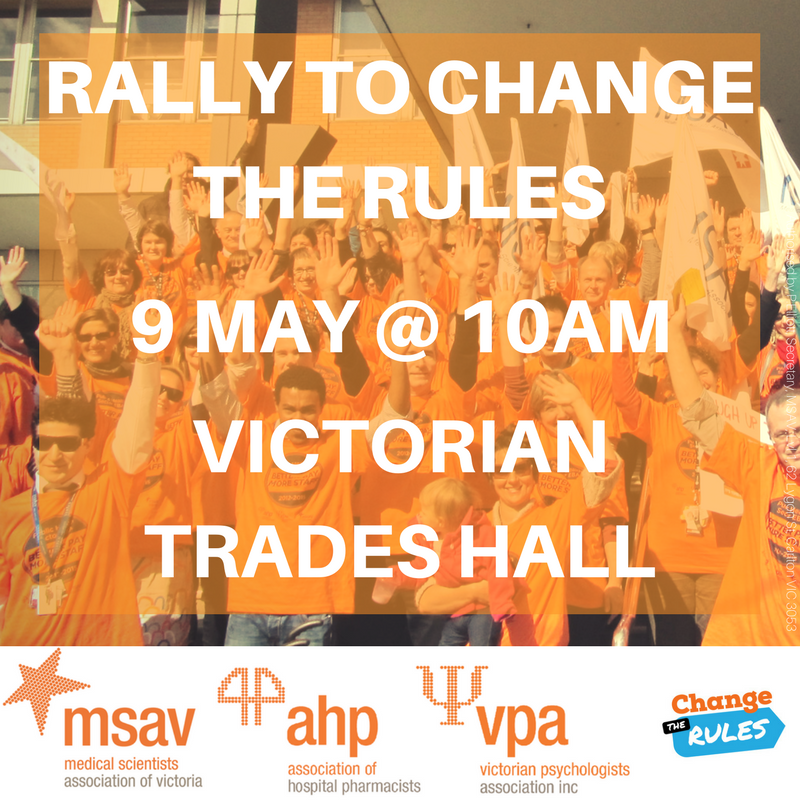 Join us on 9 May at 10am at Victorian Trades Hall to rally to Change the Rules! 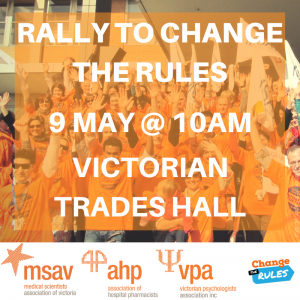 Help promote the rally by downloading and printing the poster or sharing the image below with your colleagues on social media.